When I was nearing the end of Persona 5, apart from leaving characters that had stolen my heart, I felt sad that I’d never experience its dungeons for the first time again. With treasure, platforming, puzzles and stealth, Persona 5’s dungeons amplify the story unfolding while mixing in the exploration experience from past Persona games in an interesting way and left me more often than not in a mild state of awe at the end of each one. 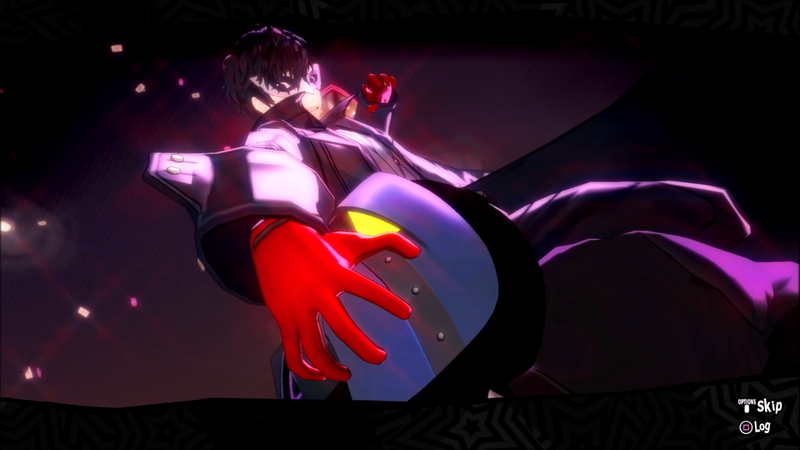 Persona 5’s dungeons are a great example of how impactful story dungeons can be and this is a list of the things I missed experiencing for the first time after finishing my Persona 5 journey. Platforming in JRPGs is something I generally didn't get too excited for until recently. Jump mechanics are fun and all, but sometimes they’re just there and don’t really add much more than making a world feel more three dimensional. Before playing Persona 5, I wasn’t excited for the platforming, as cool as it looked in trailers but since playing it, I love how it adds to the puzzle-like feel of dungeons. Platforming in Persona 5 is usually added to serve a purpose, whether it be to create an unlockable path over a big hole or to create a climbable route for treasure that makes exploration feel varied and like what you'd expect from a true Phantom Thief. 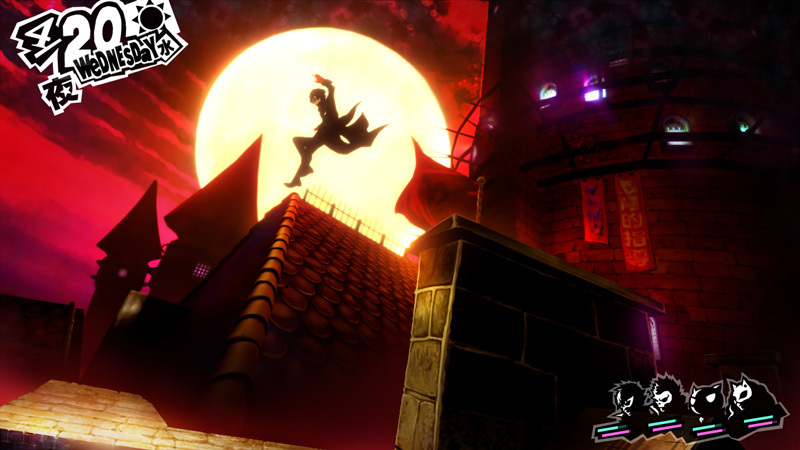 Platforming is something I never would’ve thought Persona needed, but it works so well with the Phantom Thieves stylish and sneaky way of stealing hearts that I think Persona 5 would lose something without it. Jumping around dungeons isn’t only useful for finding treasure, it can be extremely useful for sneaking up on shadows. Sneaking up on shadows isn’t new to Persona, but it feels much better in 5. With the addition of platforming on top of sneaking around corners and out of holes, it’s very easy to enjoy and frequently use the cool-looking but simple-to-execute stealth mechanics. There’s also a small level of importance placed on sneaking up on Shadows, as running in head-on raises the security level of the dungeon, so being stealthy is rewarded by having a much smoother dungeon crawling experience. 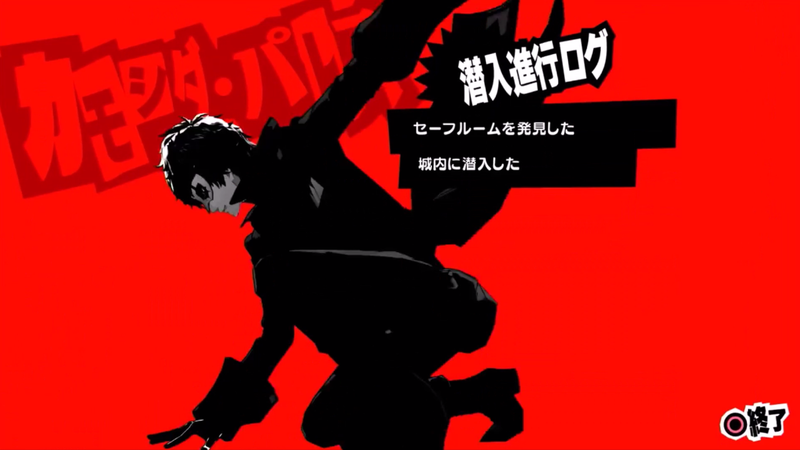 Also, again since Persona 5 is so stylish, it’s hard to deny how cool the protagonist looks darting around corners to jump on shadows and literally tear their faces off. 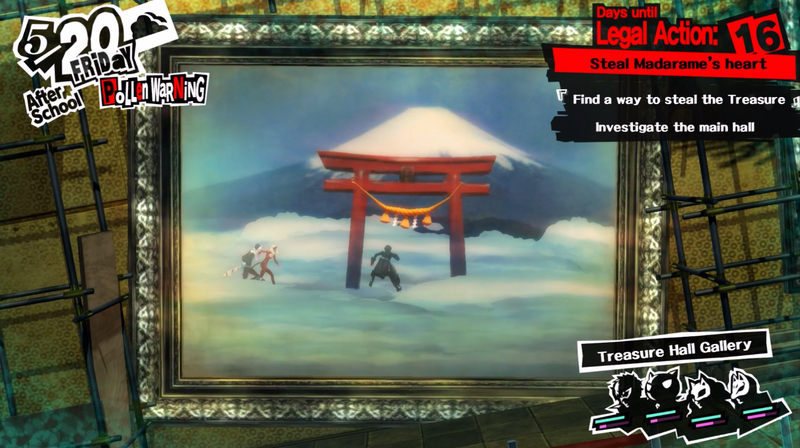 Since the challenge of taking a different path every time you’re in a dungeon is gone in the new set dungeon layouts, Persona 5 adds the challenge of puzzles to keep things interesting. I’m not a big player of puzzle games, but I enjoy them in JRPGs and Persona 5 added enough types to make each dungeon feel very different. One dungeon in particular used a combination of picture puzzles and code puzzles among others that kept me constantly on my toes wondering how the dungeon would challenge me next. It’s probably the most fulfilling dungeon I’ve ever played, mostly thanks to those puzzles. The dungeons themselves are also very much like puzzles a lot of the time, thanks to the combination of jumping, climbing and interacting with the Metaverse and the real world to unlock different parts. Persona 5 is not the typical ‘climb and fight until you reach the top’ dungeon crawler seen in previous Persona games, and the more complex puzzle and interactive dungeons feel fresh and satisfying in every single one of them. It’s the little things that count, and being able to save and continue through dungeons more easily is a much needed addition found in Persona 5. 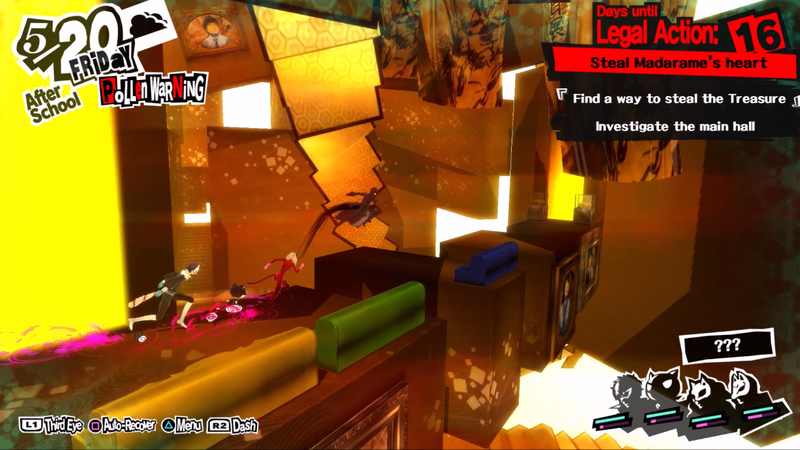 In Persona 4 Golden, you had to use an item (the brilliantly named Goho-M) to get back to the entrance and save your progress, but that system is thankfully no more in Persona 5, with Safe Rooms meaning you can save on most dungeon floors. 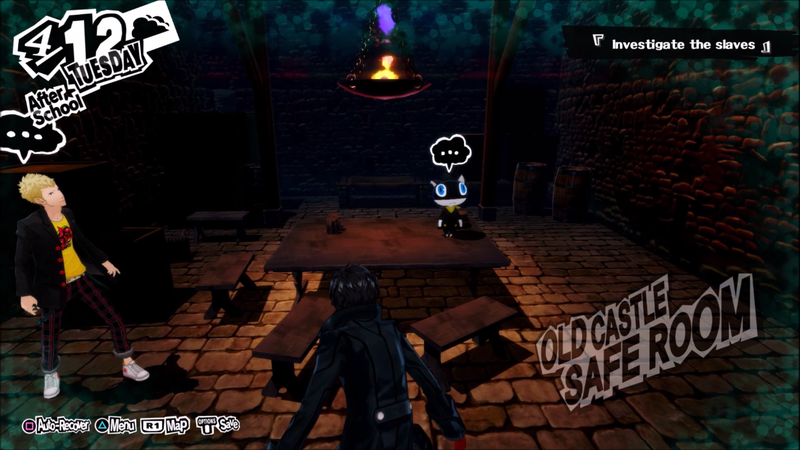 Even though I still think Persona 5 could add more ways to save in dungeons and cutscenes, these rooms are a vast improvement to the system found in Persona 4 and they actually have a few more uses than just saving, such as talking to characters to find out dungeon progress and using efficient healing items. Safe rooms also allow an easy way to get to different dungeon floors, a function that I used many times where a dungeon task needed me to dart to the other side of the dungeon to continue on. And if being told how far I was into a dungeon wasn’t useful enough, I really liked the addition of completion screens when you leave a dungeon. These don’t serve much more purpose other than showing what you did, but after spending an hour or so running around completing puzzles and ripping shadow’s faces off, seeing a progress report is a satisfying way to round off the dungeon experience. These two minor features both raise the quality of the dungeons and together help make Persona 5’s new dungeons the best in the series yet. What was your favourite part of Persona 5's dungeons? Are you still playing it at all?